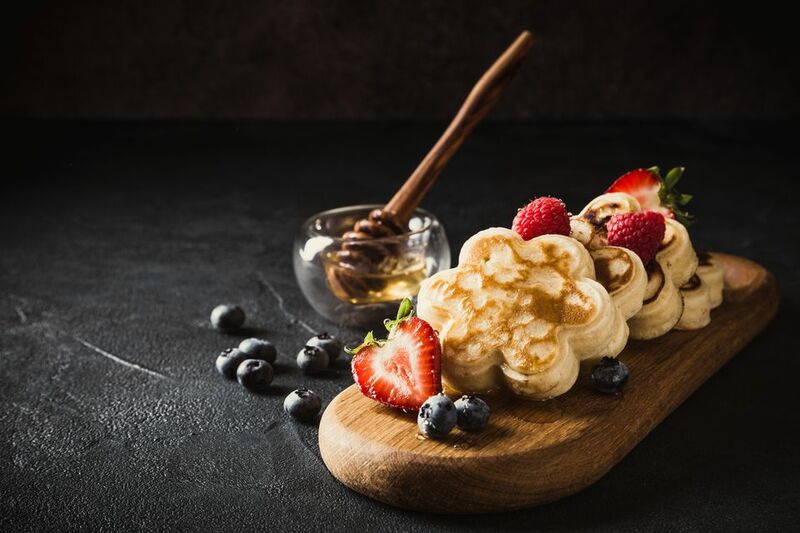 Make breakfast or brunch extra special with these delicious pancake recipes. Entice your sweet tooth with everything from chocolate chip to pumpkin cornmeal pancakes. These buttermilk pancakes are light and fluffy, and they're delicious with lots of butter and maple syrup. Make these buttermilk pancakes for the weekend or any day for a perfect family breakfast. If you don't have buttermilk, just add 1 tablespoon of white vinegar or lemon juice to a 1 cup measure then add milk to the one-cup mark. Let it stand for a few minutes before you use it in the pancake batter. Chocolate chip pancakes are always an extra special treat, and they're especially popular with kids. Try easy variations using pecans or mashed banana. These delicious little oven pancakes—also known as Dutch Baby oven pancakes—are easy to fix and bake in the oven. These are single-serve pancakes. Top these everyday basic pancakes with butter and maple syrup or use your family's favorite flavored syrup. Serve with fruit slices or berries on the side. This recipe is easily doubled for a large family. Make the batter the night before, cover, and refrigerate. What could be easier? Subtle spices and brown sugar flavor these pumpkin cornmeal pancakes, and the cornmeal gives them fabulous texture. Top with maple syrup or golden cane syrup and toasted pecans. Applesauce pancakes with apple cider syrup are perfect for fall, but that doesn't mean you can't make them any time of the year. These delicious pancakes are topped with a fabulous apple cider syrup. Make the syrup the day before to make it a quick and easy gourmet breakfast. Cornmeal pancakes taste great with butter and maple syrup or use another syrup or fruity sauce. This recipe makes a nice big batch, perfect for a big family breakfast. Use fresh or frozen blueberries in these delicious pancakes. Beaten egg whites make these pancakes a little lighter, and the blueberries make them delicious. Blueberry pancakes are great for any family breakfast. Serve them with maple syrup or a blueberry syrup. This apple dutch baby pancake is a quick and easy way to enjoy a pancake breakfast because it cooks all at once in the oven. No worries about cooking in batches and keeping the first pancakes warm. Serve this pancake with your favorite syrup or sprinkle with powdered sugar. Filled with shredded coconut, and topped with both a coconut cream glaze and golden toasted coconut, these coconut cream pancakes are the perfect summer brunch treat. Blueberry cornmeal pancakes have great texture and loads of flavor. 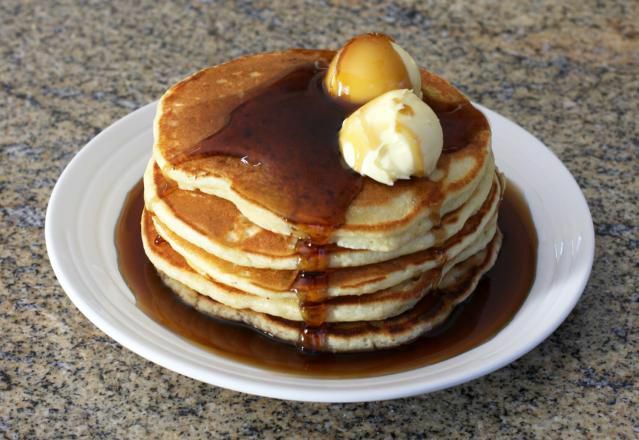 Serve these delicious pancakes with butter and your favorite syrup. There's no need to stand over a skillet or griddle flipping pancakes with this easy blueberry Dutch baby pancake!